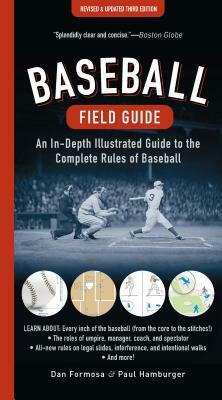 Now in its third edition—a clear guide to the complete rules of baseball, updated in 2018! Dan Formosa, Ph.D., spent his grammar school years in Hoboken, NJ, the site of baseball’s first recorded game. A consultant to a wide range of companies and organizations, he has received numerous design awards. He also helped create the Masters in Branding Program at the School of Visual Arts in New York City. Dan travels the world frequently in his work. He spends the rest of his time in Piermont, NY, and in New York City—virtually within throwing distance of Hoboken’s old Elysian Fields. He grew up playing stoopball and is a diehard Yankees fan. Paul Hamburger, originally from New York City, is a recent transplant to sunny Los Angeles, where he works as a creative director. Growing up in the streets of Brooklyn, Paul was an accomplished player of stoopball. As a Mets fan, he is bitter and resentful toward the relative success of other local baseball organizations. He lives in the past, nostalgic for the glory days of the mid-eighties.